It's a simple plan - force the withdrawal of US troops from Iraq by shutting down key US ports. No need for weapons of mass destruction, ordinary explosives easily obtained would do the job. The complex part is for Coast Guard Lieutenant Mark Fletcher to stop it from happening. Faced with an unknown enemy from his past and betrayal by his superior officers, Mark is caught in a labyrinth of deceit. His only allies are a retired Navy SEAL and a beautiful African American helicopter pilot. 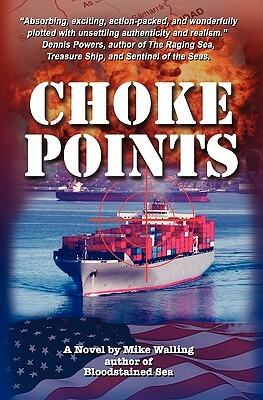 Stretching from the treacherous shores of Iraq to inner circles of power in Washington, DC, Choke Points leads the reader deep into the heart of the War on Terror and the real threats of attack on the U.S.